You can upgrade your ships by attaching equipment’s on them, which makes them stronger and higher success chance on missions. Each ship has 2 Equipment slots. You can unlock the second slot when the ship has Epic Status. Equipment are achieved by having the blueprints for them. 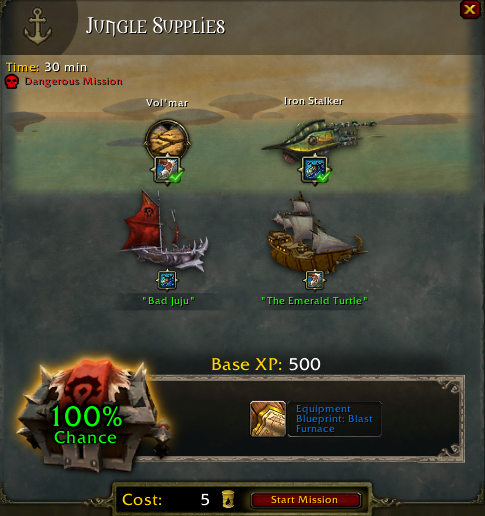 You get these blueprints by following the shipyard quest line and by doing naval missions. After achieving a blueprint, you can buy several of the same equipment to your ships. 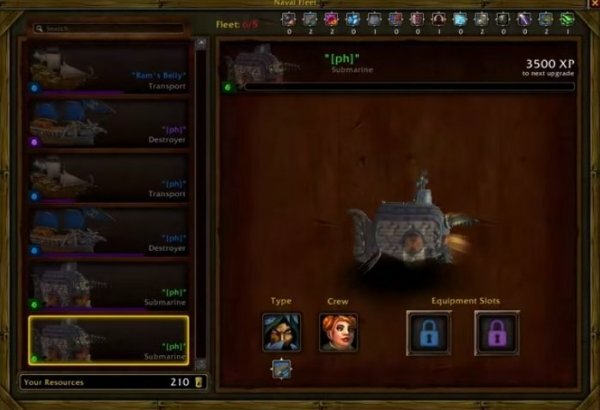 The shipyard vendor will sell them to you for 50 Garrison Resources each. The equipment can use special abilities or assist a certain ship and even have special treats. Remember that when applying an equipment on a ship, you cannot change it later.